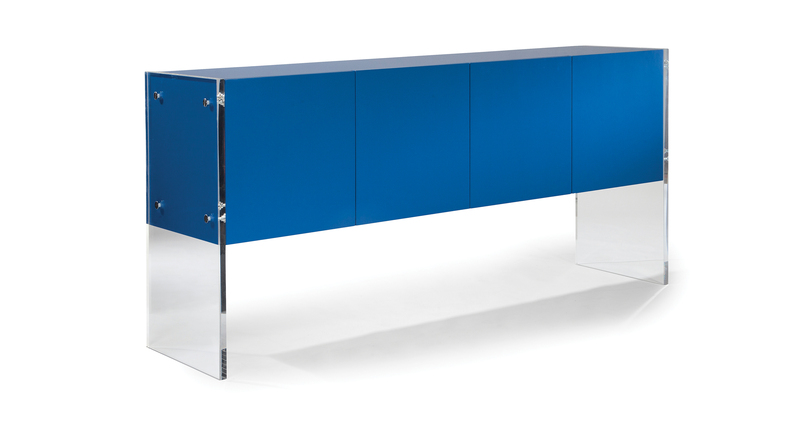 Designed by Milo Baughman in 1978, our Swanky credenza is a timeless modern classic. The versatile Swanky sideboard features a maple wood case and acrylic sides with decorative metal discs available in brushed stainless, brushed bronze or satin brass. Choose any Sherwin-Williams/Benjamin Moore satin latex paint color. 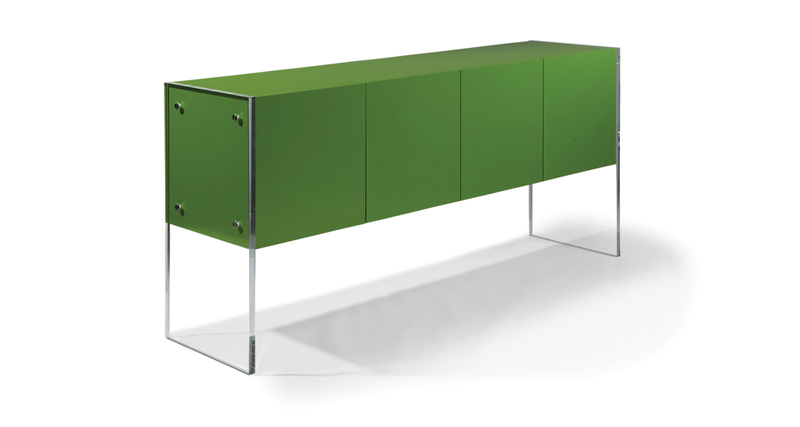 Also available with a polished stainless steel base as No. 1350-47 or as a hanging unit as No. 1350-46. One inch thick acrylic sides. Maple wood case available in white, ebony, grey or any Sherwin-Williams/Benjamin Moore semi-gloss latex color. Must specify. Decorative metal discs available in brushed stainless, brushed bronze or satin brass. Must specify.